Hello crafty crafters! This weeks challenge at Little Red Wagon is going to be really fun! Home is where the heart is, so true isn't it? For this challenge you just need a house on your card. A little gingerbread house would be so fun! Or maybe a pretty little Christmas house? Any house you might have will work. 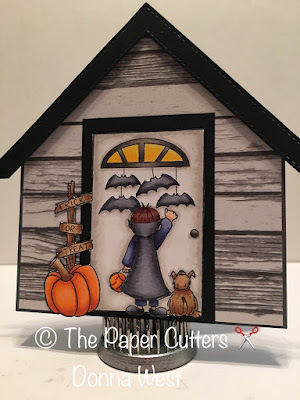 I chose to make a little house as my card base and then colored a little stamp from Kraftin Kimmie called "Hey There Pumpkin". There's so many cute images in this little set. There's Halloween, Thanksgiving and also words for both holidays. The stamp designs are from Cheryl Grant and they are awesome! I also used my Copic markers again this week. So come on over and join us this week! I can't wait to see all the cute houses from all of you. Just link your project on the blog here: http://lilredwagon.blogspot.com . 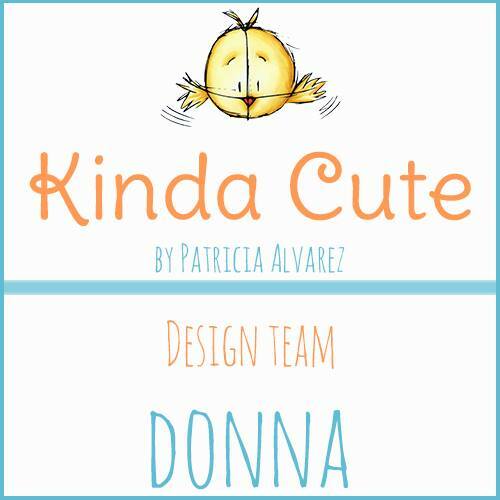 Joann will pick a couple of projects next Tuesday to be featured and you will get a badge for your blog. Have fun everyone! So cool! And so clever too! Love this little creation! As usual, amazing coloring! AMAZING. Love that woodgrain paper and the way you used your house idea. How cute is this. I like how you created a house for this stamp.